Sharper looking than original Auris. Good quality feel to the interior. Popular hybrid version offers low CO2, 60mpg, low maintenance and phenomenal reliability. Well built. Loses height and ease of entry advantage of previous Auris. Automatic is CVT only not torque converter. Epicyclic in hybrid. 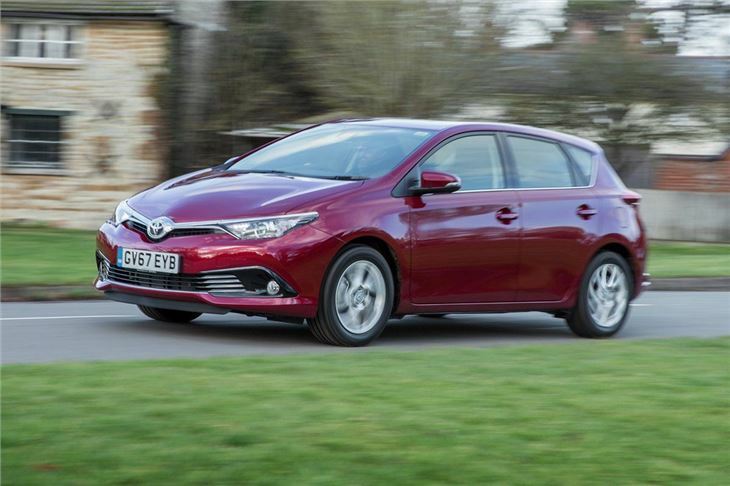 Report of clutch failurte on a 2017 Toyota Auris at 56,000km (35,000 miles) in Ireland. 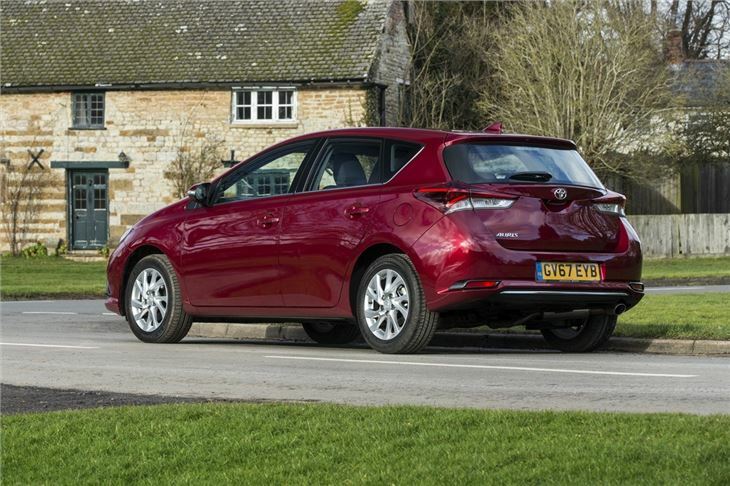 While the previous generation Auris was perfectly competent it hardly set pulses racing, thanks to its bland styling. 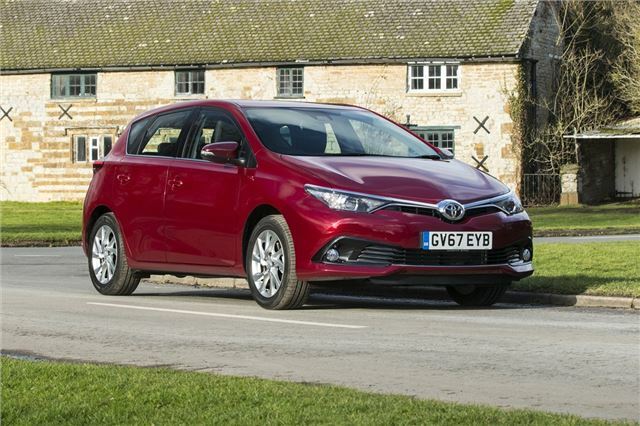 Toyota has addressed this with the new car, which gets a sharp, aggressive look – but it’s still as relaxed, easy to drive and practical as ever. The cabin has is more up to date, too, with a simple-to-use infotainment system and durable materials. It’s easy to get comfortable, with a good driving position – but there’s little in the way of flair. The cabin has clearly been designed for user-friendliness rather than style. 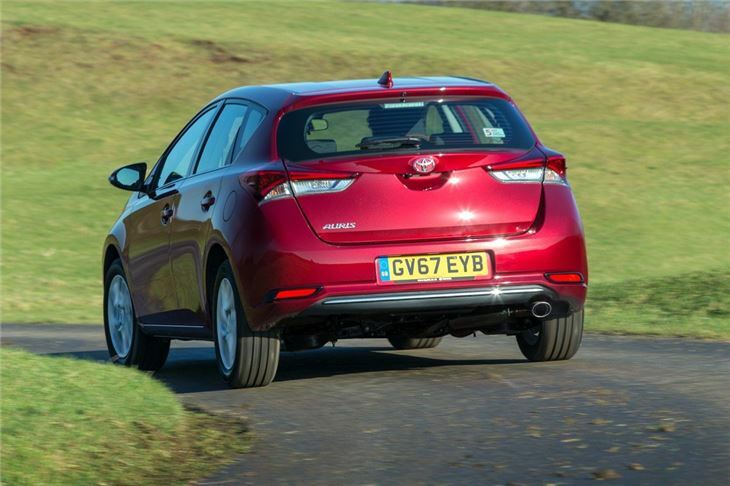 Two petrol, one hybrid and one diesel engine are offered, with a 1.33-litre petrol kicking off the range. With 99PS it’s not going to set the world on fire, but it’ll serve most drivers well enough. 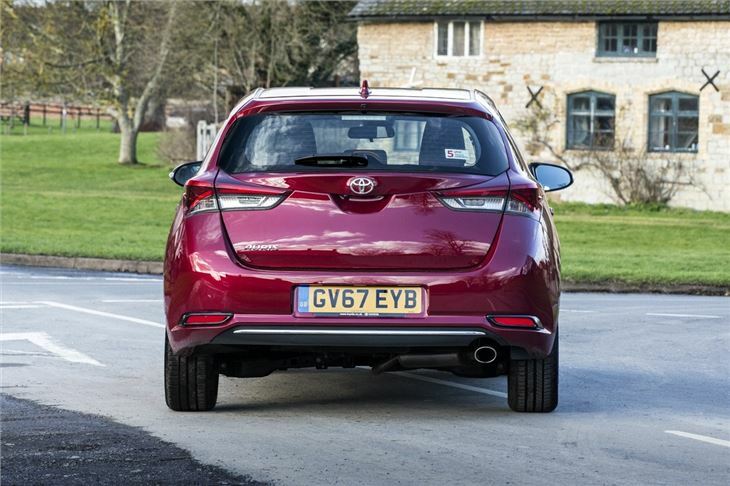 Those who want a bit more go can choose the 90PS diesel – it might have less power but it has plenty more torque, making it a good motorway car. By far the most popular Auris sold in the UK is the hybrid version, which uses the same drivetrain as the Prius, with an electric motor, 1.8-litre petrol engine and epicyclic CVT transmission. It’s fuel efficient, clean, phenomenally reliable but distinctly unsporty, though on the 17-inch wheel option it corners surprisingly well. Practicality is generally fairly good. 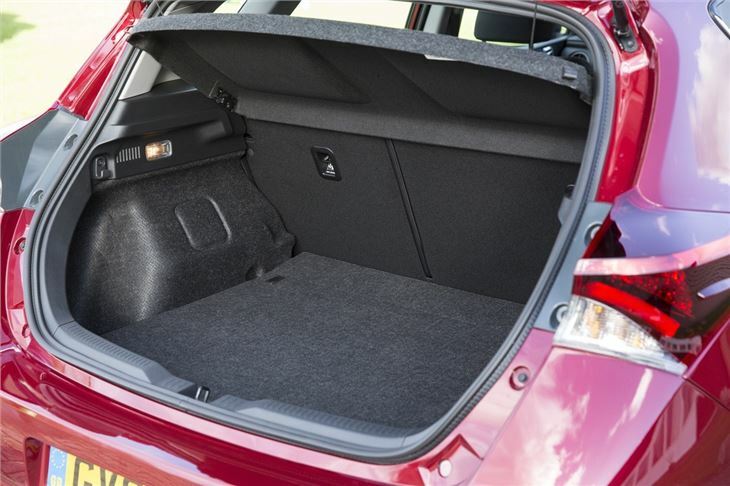 There's space in the back row for adult passengers and the boot is a good size and shape, with a boot floor that can be set at two different heights. At 360 litres it's a little behind the Volkswagen Golf in terms of outright capacity, but in practice you probably won't notice. 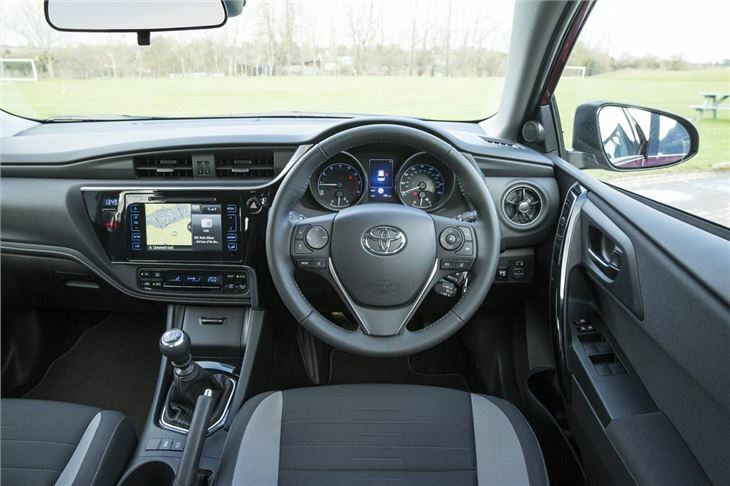 The Auris is reasonably well priced and comes with most of the gear you’ll need, but for enthusiastic drivers, or people who demand a German interior it’s not up to the standard of the Volkswagen Golf. That said, there is appeal for those who want an easy-to-drive, fuss-free car with a reputation for reliability.